Behind in delegates to Mr. Obama (by 7.8%: 1724 – 1589), losing the popular vote (by 3.5%: 14.418 vs. 13.917 million), well back in fund-raising (by 18.9%: $240.2 vs. $194.8 million) ¹ ² and deeply in debt, one wonders what good reason Mrs. Hillary Clinton has for remaining in a race which, by virtually every measure, she has no reasonable expectation of winning. 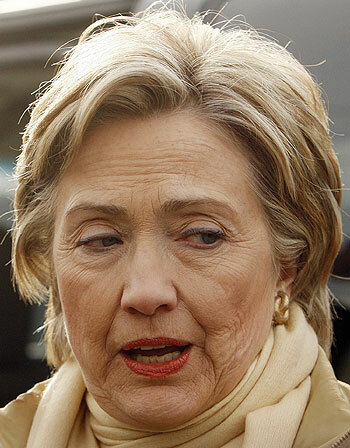 Perhaps it’s not a single reason, but rather five million reasons Mrs. Clinton won’t pull the plug on her seemingly ill-fated campaign to be the Democratic Nominee for President of the United States. In late January, Mrs. Clinton personally loaned her campaign $5 million. 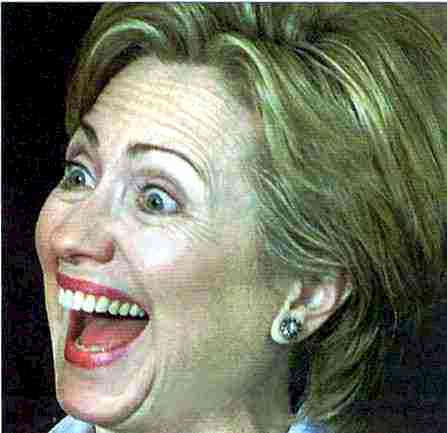 As of April 1, 2008, the Hillary Clinton for President committee was $10 million in debt (not counting the $5 million personal loan)³, and that was before some very heavy spending in the run up to the Pennsylvania primary. You can see a list of creditors here. Mrs. Clinton’s only hope of seeing any of the $5 million of her personal fortune she lent herself is not only to keep the money flowing into her campaign coffers, but to accelerate the pace at which it’s flowing. Hence her direct appeal for cash in the early lines of her victory speech following her triumph in Pennsylvania Tuesday night. That speech seems to have, if not solved her dilemma, at least significantly eased it: in the twenty-four hours following the plea for money, Mrs. Clinton’s campaign claims it raised a record $10 million 4. That ought to at least pay some of the growing list of creditors (including UC Davis, which is owed $6,350 from an event back in January (the campus is contemplating sending the debt to a collection agency 5), and $292,000 in unpaid health insurance premiums for her campaign workers 6) and may even give the New York Senator a chance of recovering her investment in her ambitions. 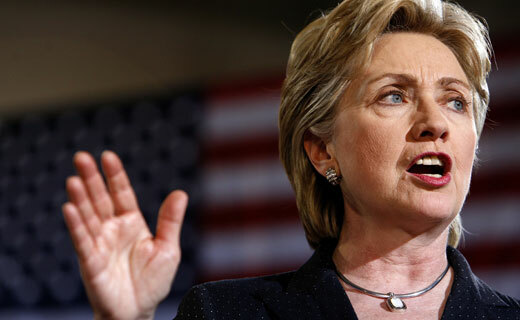 Various Democrats have been publicly pleading for Mrs. Clinton to end her campaign. One proposal which may have a realistic chance of meeting success would perhaps be an offer from Democratic National Committee Chairman Howard Dean that would see the DNC pick up any debts of Mrs. Clinton’s failed campaign (including her $5 million loan) if she drops out of the race by a fixed date (the sooner, the better, as far as the Democrats’ aspirations for the White House are concerned). No such proposal appears to have been put forward yet, however such a proposal might, at last, put an end to an increasingly bitter race for the Democratic Nominee for President of the United States, which lately seems to be benefiting one candidate exclusively: Senator John McCain.